The family of a frightened dog who was critically injured when darting from fireworks last weekend is hoping others will take heed of their animals’ safety before using pyrotechnics this July Fourth. 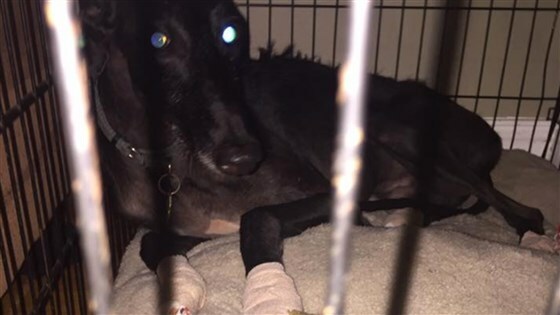 Dwight, a 1-year-old greyhound living with his family in St. Clair Shores, Michigan, was in the backyard late Saturday night with owner Lenka Perron when startling fireworks went off in the immediate neighborhood. In a matter of seconds, Dwight — who Perron said has roughly a 20-inch chest — squeezed through a 6-inch slat in the gate and took off in a state of panic. “I equate it to watching a human being with a great deal of adrenaline actually lift a car,” said Perron. Dwight was gone for only a few minutes, but in that short time he was sprinting so fast that his paw pads were torn off. 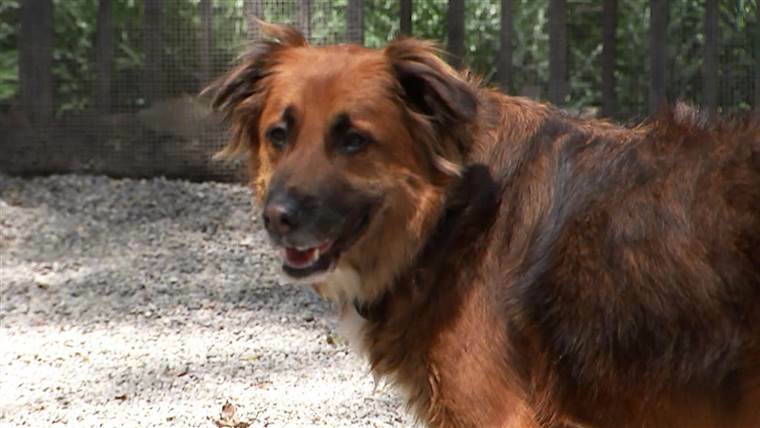 Perron and her daughter followed bloody paw prints to locate the dog, and when they grabbed him, Dwight collapsed, covered in his own blood, feces and urine. The family took Dwight to a veterinary clinic, where he received a chest X-ray that showed he had broken ribs. The vets speculate that Dwight suffered damage when squeezing through the gate, and that he was hit by a car on a major road nearby. Dwight has since been transported to an intensive care unit, where he’s being treated around the clock. Perron said a tube has been surgically inserted into the dog’s lungs, which are hooked up to a machine helping him breathe. His prognosis will be dependent on how Dwight’s lungs perform when weened off the machine. His paw pads, bandaged up and changed daily, will require months of recovery and restricted activity. Perron spoke out about Dwight’s trauma in a Facebook post, which has since garnered more than 73,000 shares. “I’m being bombarded and overwhelmed by people around the world that are sharing their personal stories about what their animals are going through,” Perron said.